Northumberland is a big county ….yet the least densely populated county in England. Still largely rural with quiet country roads, National Park moorland and forests, castles in abundance, unspoilt beaches that stretch for miles, The Roman Wall and Empire settlements, market towns and of course….friendly Northumbrian people. Allen Banks is a National trust ancient woodland set in the gorge of the River Allen and provides stunning walks near Ridley Hall. 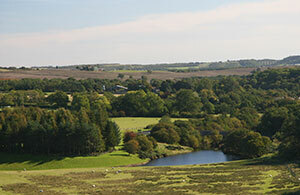 A short walk across the fields from the Bastle or take the car by road over the metal bridge to the Allen Bank car park. Having recently been given Dark Sky Status, the car park is a must for visitors to admire the night sky uninterrupted by light pollution. This fascinating Victorian property built by Lord Armstrong and his architect Norman Shaw was the first house in the world to be lit by hydroelectricity. 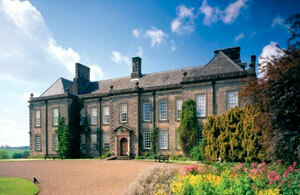 Children and adults will love to explore the house and outbuildings. Admire one of the largest rock gardens in Europe, walk to the formal gardens and drive the carriage drive to Nelly Moss Lake…spectacular when the rhododendrons are in full bloom. Owned by The National Trust, but maintained by English Heritage, this dramatic section of Hadrian’s Wall near Bardon Mill climbs and drops, providing the walker with spectacular views of wild countryside. 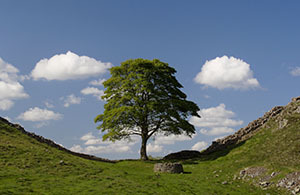 The famous Sycamore Gap at Milecastle 37, Crag Lough and of course Housesteads Fort come in to view along the way. Explore the Roman remains and discover the military life of a Roman soldier on the exposed hillside. 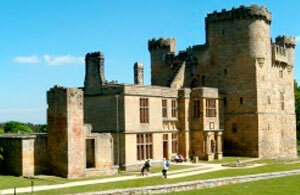 Children and adults alike will love the dramatic setting. 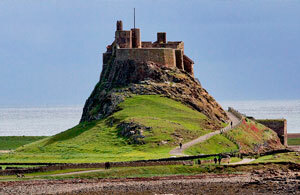 This iconic castle of Northumberland is accessed via a tidal causeway which twice a day cuts Holy Island off from the mainland. To avoid being stranded please check the tide times! Standing high on a crag, it is well worth the climb to this lovely Lutyens designed castle which was once a fort. Comfortable and warm inside, you can quite understand how the founder of Country Life magazine, Edward Hudson made it his holiday home. Having discovered the wildness of the Northumbrian countryside it is a pleasurable contrast to visit the beautiful home and gardens of the Trevelyan family at Wallington, near Morpeth. 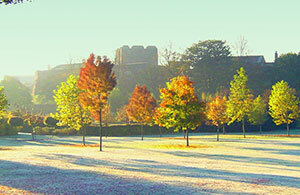 With landscaped gardens, woodland, lakes and parkland there is much to explore outside. Inside, the house is a delightful place with an amazing painted Central Hall, beautiful family furniture, paintings, doll’s house collection, grand rooms and a below stairs kitchen straight out of Downton Abbey. 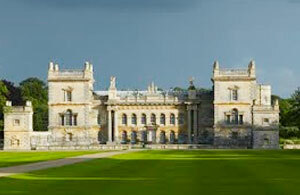 A new kid on the National Trust block, which opened to the public in May 2010 after lengthy negotiations and huge support from the local community. Still work in progress, this 18th century Vanburgh designed house with fabulously ornate stables and an imposing central hall ( which suffered from a fire in 1822 ) allow the visitor to admire and imagine what a great building it once was. Home to the 18th century Delaval family, notorious for playing jokes and outrageous pranks on their guests and of course if you can find her, the ghost of a ” White Lady ” who is supposed to haunt the bedrooms! Britain’s longest monument stretching 73 miles across the North of England has its most spectacular stretches between Birdoswald in Cumbria and Housesteads within the National Park of Northumberland, just a few miles in either direction from Beltingham. 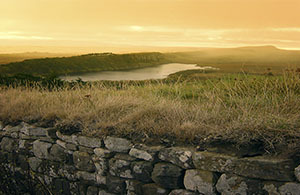 With museums and forts within easy reach, the Bastle makes a perfect base to explore Hadrian’s Wall World Heritage Site. Once the stomping ground of the notorious Border Reivers, the now peaceful and charming North Tyne and Redesdale valleys still retain the historic remains of castles and bastles that were essential for the protection of the people and their animals during the troublesome times. 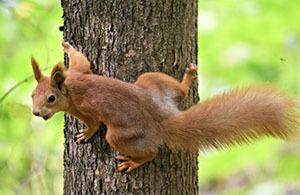 The quiet forests and woodlands are home to the rare red squirrel and the River Tyne home to the shy otter. Something very special to look out for. 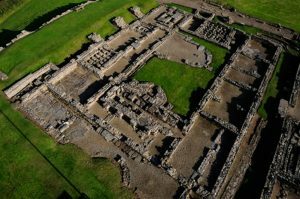 The Roman remains at Vindolanda are the most extensive of any fort and settlement on Hadrian’s Wall and are a must visit when staying at the Bastle, Beltingham. With its military buildings, shops, bath houses and a great museum dedicated to the personal belongings left by the Roman inhabitants, including shoes, textiles, pottery, jewellery and much more. Coffee shop with pretty, terrace and gardens for visitors. Vindolanda also undertakes live archaeoligical excavations during the Summer months which prove extremely popular with visitors. 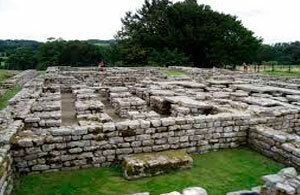 Don’t forget Vindolanda’s sister site The Roman Army museum at Greenhead and enter the world of the Roman army and its empire through the 3D Film theatre, transporting the visitor back in time. With spectacular gardens including the dramatic Quarry Garden, where stone was taken for the austere yet imposing Belsay Hall. No longer furnished, but still retaining the original architecture of an early 19th century Greek inspired home. 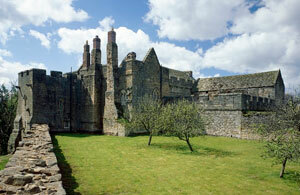 A comfortable walk from the house, through the gardens leads to the 14th century castle. Built as a defensive Pele tower during the Scottish/English border warfare, the commanding views from the top are well worth the walk up the spiral staircase. The later addition to the castle of a Jacobean mansion soon became history, when the Middleton family moved into their new home…Belsay Hall on Christmas day 1817. Situated approximately one mile north of Corbridge village, this hidden gem of a 13th century unfortified, English manor house, is largely unaltered and intact. In the 14th century it was fortified on the outbreak of the Anglo Scottish wars, burnt and raided by the Scots, even though it stands on a perilously high bank overlooking the Cor Burn. When things settled down, it was converted into a working farm in the 17th/18th century. Said to be the best preserved remains of a Roman cavalry fort… Chesters, near Chollerford was built to guard the Roman bridge carrying the Wall across the River Tyne. With its military bath house supplying hot, cold and steam baths the soldiers would have had some comfort whilst stationed in chilly Northumberland. The museum houses many Roman finds by the local antiquarian John Clayton whose father bought Chesters in the 18th century. Approximately 5 miles from Beltingham, the village of Haydon Bridge split in two by the River Tyne, has a well equipped Co-op supermarket with Post Office, an excellent butcher for local meat and famous pies, chemist, hairdressers, general store/ newsagent and The General Havelock and Railway Pubs on one side of the river, The Anchor Pub and a very good fish and chip shop on the other. All linked by an impressive stone footbridge over the River Tyne. The Tyne valley railway line station in the village links Carlisle and Newcastle on a regular service. The pretty village of Corbridge,19 miles from Beltingham is a must visit. Attracting shoppers with its wealth of small independent retailers as well as a small supermarket, excellent butcher for local meat, delicatessen, coffee shops, antique shops, hotels and pubs with fabulous food, art galleries and Tourist Information Centre. 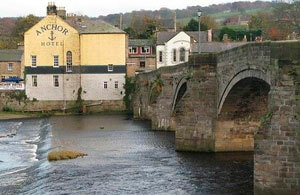 The Tyne Valley railway line station is on the south side of the village just over the old stone bridge. 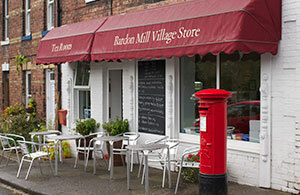 The village of Bardon Mill, 3 miles by road from Beltingham, west on the A69, or a 15 minute walk from the Bastle over the Victorian iron bridge has a very nice deli shop and cafe for local cheeses, bread and homemade cakes. The Errington Reay Pottery and museum which still makes and sells salt glazed pottery from its old brick kilns. The Tyne Valley Railway line scenically links Carlisle and Newcastle following the course of the River Tyne through Northumberland. 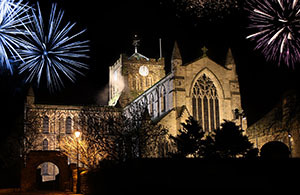 The historic Market town of Hexham ….market day is Tuesday, has a wealth of shops, independant and high street names to cater for all tastes and only 15 miles from Beltingham. The magnificent Abbey dominates the old market place, the excellent Old Gaol museum for local history of the area, cafés, restaurants, Leisure Centre with new swimming pool and The Tourist information Centre where the AD 122 tourist bus leaves to take visitors to the main sites on Hadrian’s Wall. The Tyne Valley Railway line Station is a short walk from the town centre. The City of Newcastle lies on the North side of the river Tyne, approximately 38 miles east of Beltingham and an easy 45 minute drive on the A69. A vibrant City, with the splendid grade I listed Theatre Royal, cultural museums, excellent restaurants, fine architectural buildings, Eldon Square shopping centre and a lively nightlife of bars and clubs. 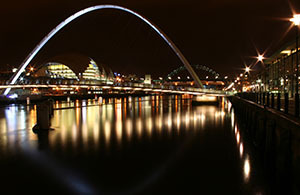 With seven bridges spanning the River Tyne the Quayside provides the iconic views of Newcastle and Gateshead…. The Baltic Arts Centre and the Norman Foster designed Sage Gateshead music venue to name but a few. 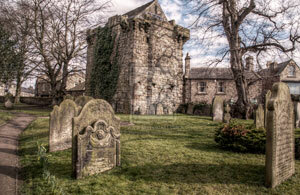 The city of Carlisle 34 miles west of Beltingham via the A69 has a wealth of historic and modern attractions. A Norman castle, medieval Guildhall and the excellent Tullie House museum to discover Carlisle’s early history and turbulent past. The city centre shopping area is mainly pedestrianised with the Lanes shopping centre, high street names and small independents. A gateway to the stunning Lake District or Scotland easily reached by road or rail and of course Cumbria, the start of the world heritage Hadrian’s Wall Path.